Are you looking for information about how to consciously create the corporate culture that will help you accomplish your business goals? 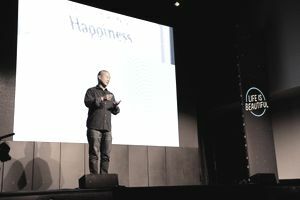 Zappos consciously creates and reinforces its corporate culture. The work environment provided for employees won't attract every job searcher, and it's not for every employee. But, the people who fit the corporate culture thrive working for Zappos. In an interview with Rebecca Henry, the former Director of Human Resources for Zappos, two key factors stood out. The company consciously decides what the corporate culture needs to look like and it consciously reinforces and supports that culture through all Human Resources and management work systems. Zappos takes specific actions every day that reinforces its culture of a fun workplace that is a tiny bit weird. With a majority of call center employees, this makes sense. Take these ideas, where possible, and use them to reinforce the culture in your workplace. A training team trains employees in each core value. So, every employee hears the same message, learns the values, and learns the behavior that is expected to live the values every day at work. The trainers are available for training value gaps. The hiring process at Zappos is more like a courtship than a traditional recruitment. Ms. Henry, for example, attended a merchandising team recognition meeting at a bar and interacted with Zappos' employees in a variety of social settings for four months before they agreed to the relationship. While the courtship may not be as rigorous for every job, before an employee is hired, he or she will meet with multiple employees and normally attend some type of department or company event. It allows the employees who are not participating in interviews to meet the prospective employee informally. Zappos takes cultural fit seriously and hires slowly. Months can pass between an initial cultural fit interview with an HR recruiter and an actual job offer. If a potential employee fails to pass the cultural fit interview (50% of the weight in hiring), he or she is not invited to meet the hiring manager and other employees. While not all hires wend this slow road, Zappos hires for cultural fit first. Interviewers have developed five or six behaviorally based questions that illuminate a candidate's congruence with each of the Zappos core values cited earlier. This approach to interviewing allows interviewers to assess a candidate's potential ability to fit within the culture and to exhibit the necessary skills. Every interviewer gives specific feedback about candidates; some hires require consensus from the interviewers, some vote. Interviewing team members enter feedback directly into a computer system. They answer specific questions followed by free forms that assess their opinions of the candidate's fit at Zappos. If you are hired by Zappos, you can expect to spend your first three to four weeks manning phones in their call center learning how to respond to customer needs. While this is an introduction to the soul of the business, it is also a practical approach to serving customers all year long. Zappos does not hire temporary employees during the busy seasons, so all employees are expected to sign up for shifts in the call center to handle busy times such as holidays. The early training allows employees to serve customers professionally. When crunch time comes, each employee puts in their ten hours a week in the call center. Upon completion of their time in the call center, Zappos employees are offered $3,000.00 to leave the company. Yes, you heard that correctly. Leave. If you haven't become a Zappos insider, committed to the goals and the culture, the company really prefers that you leave. Take the money, though, and you can never come back. Raises at Zappos come from building skills and capabilities. Employees pass skill tests and receive pay raises. Raises do not come from schmoozing with managers or other preferential actions that are not measurable. Call center employees are expected to be available for customer calls 80% of the time, and this is the standard employees must meet. Standards are not yet in place for mid-management to senior management in all jobs. Each manager is expected to spend 10-20% of the department's time on employee team building activities. It makes employees feel comfortable with the culture, with each other, and they develop relationships that live the core values that Zappos espouses. Activities range from contest dioramas from movies in employee services to the shipping department putting on an Easter egg hunt. Various departments hold cookouts regularly. Zappos sponsors a couple of family events a year and three big company-wide events: a summer picnic, a January party at Tony Hsieh's, and a vendor party that employees and families attend. Additionally, Zappos holds quarterly smaller events such as theater, bowling alley parties, and so on. Managers are key at Zappos for promoting the company culture. Managers hire and fire, but they must do it with Human Resources support. Managers make job offers; call and then make a written job offer. Managers enter data in offer letterforms for consistency. Performance evaluations at Zappos reinforce the culture. Managers do cultural assessments rather than performance evaluations and give employees feedback on their fit within the culture and how to improve. In an environment that gives raises based on skill tests, this makes sense. Managers are responsible for creating career paths within their departments. They have a regular career path for individual contributors and a super star career path for individuals who excel. Living the cultural norms is key in career progression. Call center employees are fully empowered to serve customers. At Zappos, these customer service employees do not work from a script and are encouraged to use their imagination to make customers happy. They do not have to ask permission from a boss to give their customers the wow factor. With over 75% of sales from repeat customers, they succeed. Zappos has a culture book that is written by employees every year. It details how people feel about the Zappos culture and how they reinforce and develop the culture every day. Statements attributed to employees emphasize and reinforce the Zappos culture. Zappos gives these culture books to anyone who tours the company or writes an email to the company and asks for a copy. Zappos provides tours of the company in Henderson, NV. They have an employee who organizes these tours, and the company will even pick you up at the airport and bring you to their location if you've arrived in town for the tour. Tourists get to meet employees, marvel at the decorated work areas, observe daily business, and ask questions about the work environment and culture. Employees seem proud to show off their zany, loud, decorated workplace say several people I know who have taken the tour. Guests are greeted at every corner by ringing cowbells, employees signing, and spur of the minute parades. Zany, fun, and a little bit weird. In a process that they had just started, when I spoke with Ms. Henry, during the last three-four days of new employees working in the call center, new employees participate in a scavenger hunt to meet people and to find things out about the company. An employee's whole department is invited to their graduation after they have completed their call center stint and the scavenger hunt. Employees graduate to the regular workforce to the tune of music like Pomp and Circumstances, certificates delivered on a stage, and with the cheering of their families and new departments ringing in their ears during the ceremony. Following call center learning, the scavenger hunt, and graduation, the employee's department takes over and provides employee orientation and continues to reinforce the company values. Each department has developed their own process that will ensure new employee success. Zappos staffs Human Resources for success with people. The corporate group provides company-wide services like the employee handbook.